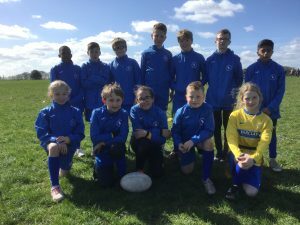 Well done to the TAG Rugby team who competed in the TAG Festival at Willenhall Rugby Club. A long and tiring day played in beautiful sunshine ended with us playing 7, winning 2, drawing 1 and losing 4, scoring 15 and conceding 19. 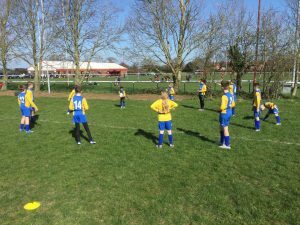 Led by captain Jack P and Eve, all of the matches were very closely fought with only 1 or 2 tries separating winning and losing teams. The highlight was a fantastic 3-3 draw with the Grammar School that had us winning then losing and finally drawing in the last seconds of the game. Try scorers were: Cam-5, Tino-5, Jack-2, Eve-2, Ray-1 and Thomas-1. Everyone played well and improved as the tournament progressed; for Tino, Sahil, Will, Betty and Kara this was their first rugby tournament experience while for Max it was his first school rugby game. Well done all. Mr Morgan.